A blue wave in November could not only take the House majority away from the GOP, but could also cause turmoil within the Democratic party next year, according to a report by The Hill. 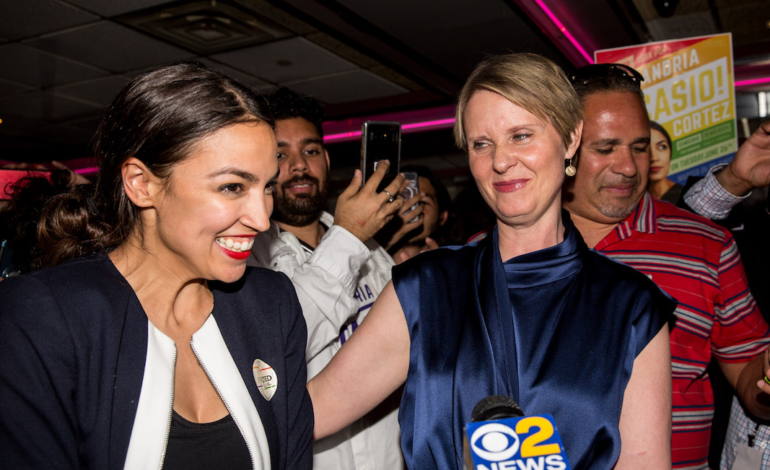 As a progressive wave grips the party, producing upset primary victories in cities like the Bronx, the publication writes that Democrats are bracing for their own version of the Tea Party insurgency that swept House Republicans back to power in 2010. That’s when the GOP conference become consumed by intra-party fighting as the far-right continually clashed with leadership over the direction of their party, leading to the birth of the ultra-conservative House Freedom Caucus. Democrats could face a similar situation if they win back the House, according to The Hill’s interviews with top Democratic and Republican lawmakers. “With House Democrats’ own conference chair being thrown out of office by their radical base in favor of a socialist, it’s clear that Democrats will be beholden to the far left, who will be behind their blue wave,” a GOP aide told The Hill, referring to the June primary win of democratic socialist Alexandria Ocasio-Cortez over veteran Rep. Joseph Crowley (D-NY). According to The Hill, progressive candidates have vowed to fight for a host of liberal causes, including abolishing U.S. Immigration and Customs Enforcement (ICE) and impeaching President Trump — two strongly popular ideas among the base, but that have split the party. “If we win the majority, we want to make sure that we take those issues people talked about during the campaign and make them real,” Rep. Mark Pocan (D-Wis.), co-chairman of the Congressional Progressive Caucus, told the publication. But Democratic leaders have not been playing up impeachment and abolishing ICE. Instead, they are promising fixes like lowering prescription drug and health care costs and passing a jobs and infrastructure package. While Democrats acknowledge that there will likely be disagreements among the rank and file regarding certain policies, its leaders say their members are more aligned than the conservatives who gained momentum on an anti-government platform eight years ago. On the other hand, Ocasio-Cortez has floated the idea of forming a liberal version of the Freedom Caucus. There is also a desire among Democrats to show a united front ahead of the 2020 presidential election. But that same dynamic could also ramp up pressure on the party to appease the progressive base, especially if it helped power a blue wave in 2018. A longer version of this story was first published by The Hill.